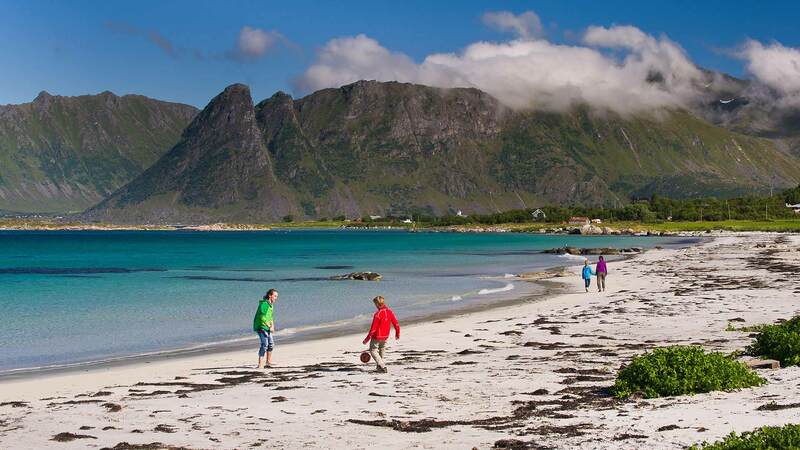 Explore the natural delights of the Lofoten Islands! This leisurely self-guided getaway is perfect for photographers, bird watchers, whale enthusiasts or active travelers. With your own rental car and short driving distances between points of interest and your accommodations, you can stop to enjoy the scenery with no rush and enjoy excursions like hiking or kayaking. Start your journey with an included flight from Oslo Gardermoen to Svolvær Airport, from where you will pick up your rental car. 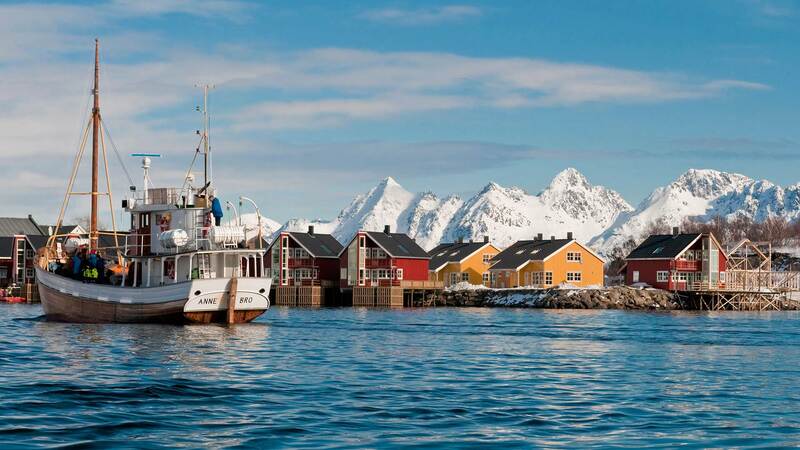 Then head to your first destination, the charming town of Svolvær, the “Capital of the Lofoten Islands”. 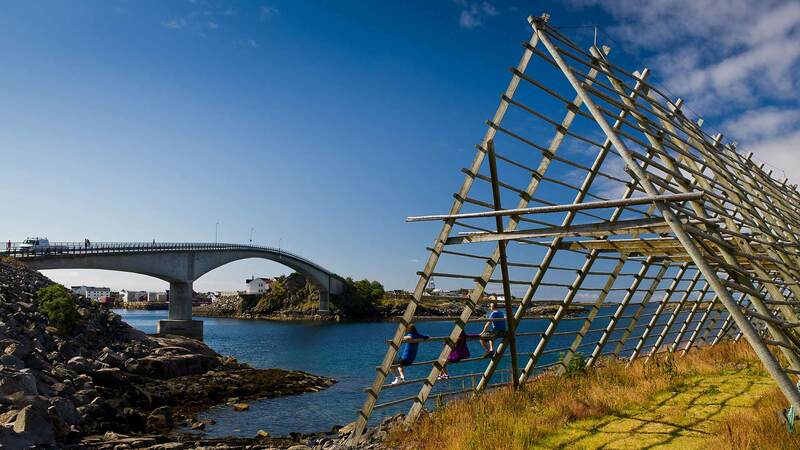 Here you will find a variety of small galleries, shops and cultural attractions nestled under the town’s landmark mountain, Svolværgeita (the Svolvær Goat), a popular challenge for climbers. If you arrive early enough, we recommend walk to the nearby island of Svinøya for a visit to the Art Museum or a stroll around town for excellent views of the sea and surrounding islands. After breakfast at your hotel it’s time to drive to Henningsvær, sometimes called “The Venice of Lofoten” for its artistic vibes. Enjoy the incredible scenery along the narrow road to the village, which offers many impressive photo opportunities. Spend the night in Henningsvær. 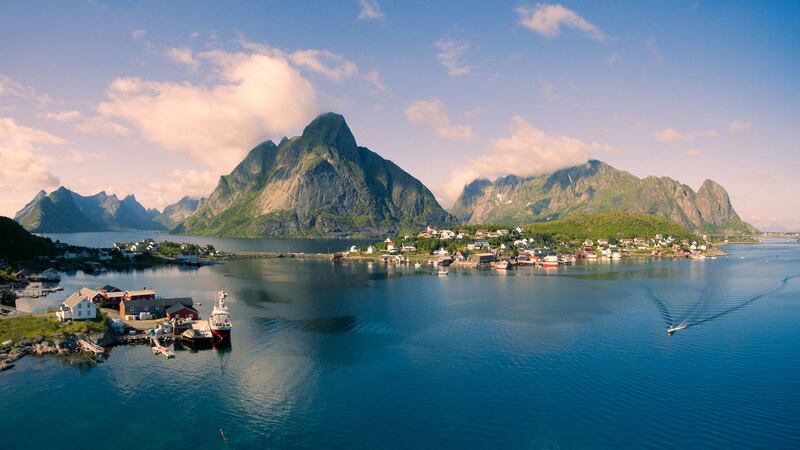 Enjoy a laid-back day of sightseeing in the Lofoten area. 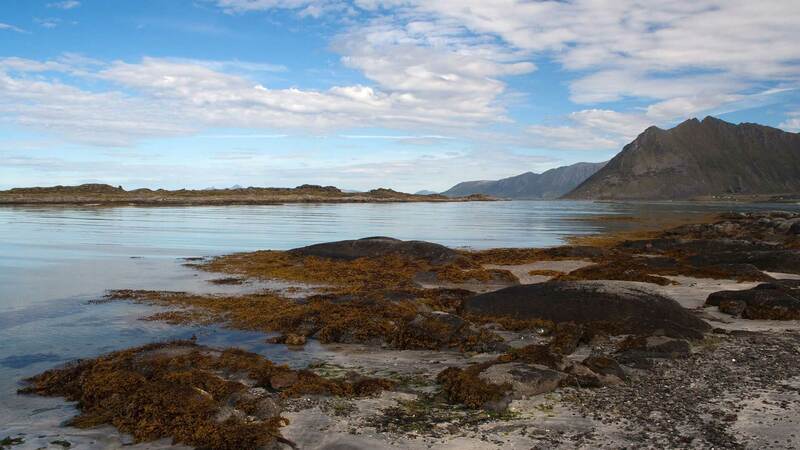 We suggest a drive up to Gimsoy on the north side of the archipelago for fantastic ocean views and a beautiful sunlit glow. There you will also find Hov, one of the oldest inhabited places of the islands. For a taste of Viking history, make a stop to the Lofotr Viking Museum and check out its full-scale reconstruction of a Viking-era house along with the various Viking artefacts. You can even try your hand at one of the authentic Viking activities offered at the museum! After a full day of discoveries, head back to your hotel in Henningsvær. Enjoy a relaxing morning in beautiful Henningsvær. There’s no hurry today, so you can drive back to Svolvær at your leisure and take breaks at various scenic viewpoints along the way. On return to Svolvær, we highly recommend a visit to the “Magic Icebar” with its gallery of magnificent ice sculptures. 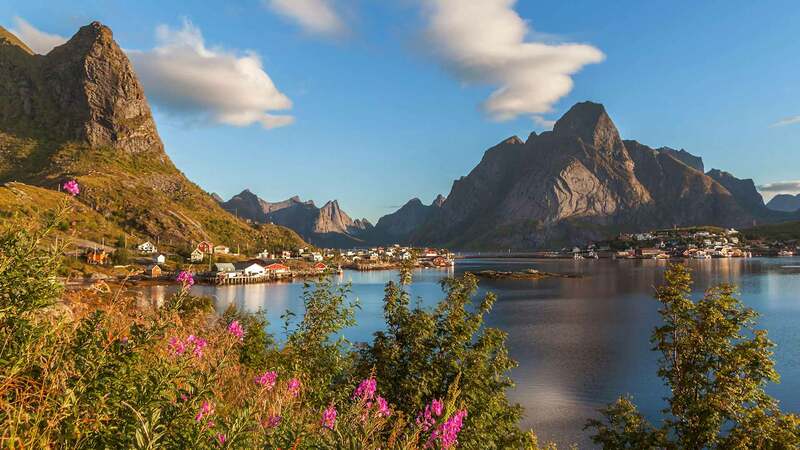 After an enjoyable holiday in Lofoten drive the short distance up to Svolvær airport where you will drop of the car before your flight back home. Note: If you wish to extend your stay in Lofoten, we are happy to adjust your itinerary accordingly. Also, if you do not have enough time between connecting flights, an additional night in Oslo can be added to your package. Contact us for details. Thank you very much for the excellent level of service and the helpfulness of all the staff. We had an unforgettable holiday and you enabled us to travel to some exceptionally beautiful and fascinating places. Thank you so much!